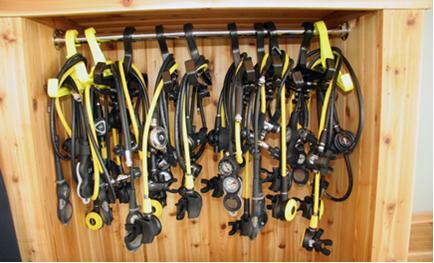 Sometimes it’s not practical for every diver to own every piece of dive equipment he or she might possibly need. 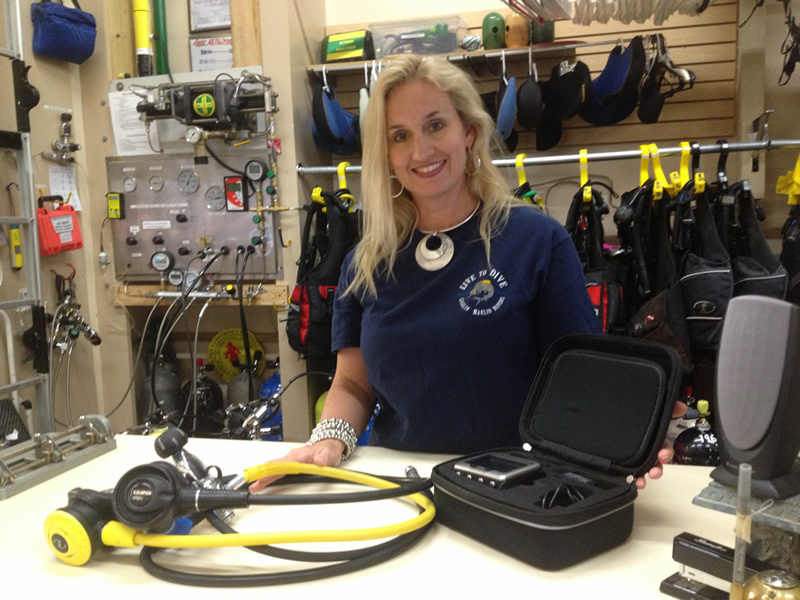 There may, for example, be an item you need solely for a once-a-year – or once-in-a-lifetime – dive. 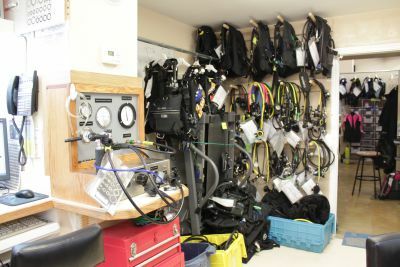 Or, you could be a new diver who is still in the process of evaluating potential equipment purchases. We also offer Technical Gear Rentals. Whatever your equipment rental needs, Gigglin’ Marlin Divers’ comprehensive rental department can help. We stock a wide selection of up-to-date, meticulously maintained rental equipment in a variety of styles and sizes. Click here to check out our state of the art fill system! Steel- LP 72’s, 108, HP 120’s & 130’s. Oxygen Clean AL 40 cu ft. Deco Stage tanks with rigging. It’s always better to rent your life support equipment from somewhere that you know and trust, and has kept the gear serviced, especially since our rentals never costs more than the resorts. You MUST have a VALID certification card to rent tanks, regulators and BCD’s. You must be 18 years of age with a photo id OR be accompanied by an adult over the age of 18 and their signature is needed in addition to yours. You must return the equipment within one day of the rental due date or additional fees will apply. Was your gear in storage for a while?, Did you buy some new gear?, Try it out before your trip. *- Weekly Rental Gets 2 Days Free of Charge.